Peggy Lavone Whittaker, 84, of Owensboro passed away Monday, March 18, 2019 at Albert B. Chandler Hospital UK HealthCare. She was born in Louisville on May 23, 1934 to the late Samuel Earl Lacefield and Sue Ella Burris Gregson. Peggy loved Bob Dylan, animals, traveling the world, University of Kentucky Basketball, enjoyed owning her furniture store in Nashville, and was and excellent cook. She was the co-founder of Whittaker Aluminum Company in Owensboro. 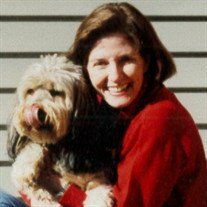 Peggy loved her family and friends more than anything, enjoyed life, and adored her dog, Conway. Along with her parents, she was preceded in death by her husband, Thomas Lloyd Whittaker, her son, Robert Lee Whittaker, several brothers and sisters, Mary Ann Burns, Brenda Johnson, Gordon Lacefield, David Lacefield, and Sammy Lacefield. Peggy is survived by her son, Thomas Dorsey Whittaker of Owensboro, her grandchildren, Robert “Tyler” Whittaker, Michael Jacob Whittaker, Thomas Denim Whittaker, and Timothy Daryl Whitaker, her great-granddaughter, Delia Riley Whittaker, and her brother, Michael E. Lacefield. Services will be 2:00 pm Thursday, March 21, 2019 at Haley McGinnis Funeral Home & Crematory, with Reverend Jody Lacefield officiating. Burial will follow at Rosehill Cemetery. Visitation will be from 10:00 to 2:00 pm Thursday at the funeral home. In lieu of flowers donations can be made to the Alzheimer’s Foundation of America at alzfdn.org.